If you are removing duplications from a mailing list, you may want to run a report of the duplications first. 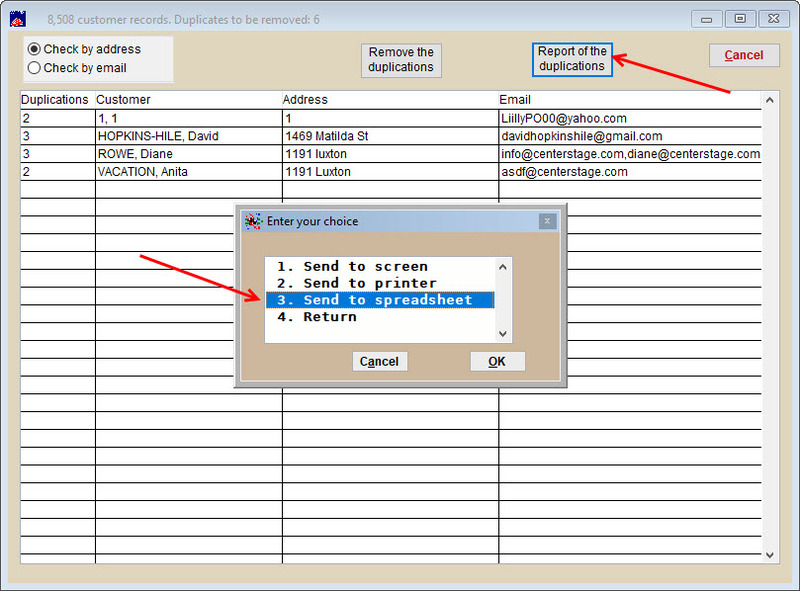 In Wintix 6, you can send the report of the duplications to a spreadsheet. Go to Mailing list | Utilities | Remove duplications. Click the Report of the duplications button. Choose 3. Send to spreadsheet.